In her search for “the parts of life that really matter,” Charlene Bell Dietz discovered “if you throw your heart and soul into what you care about,” the little things you fuss over disappear. 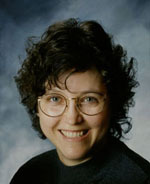 She developed a firm foundation for creating plots and characters during a long-term career in education, plus time spent volunteering in the scientific community and caring for elderly relatives. The Flapper, the Scientist, and the Saboteur (2016) is her debut novel inspired by the real life of her mysterious aunt. Look for Charlene on her website and on Facebook. What is your elevator pitch for the book? In this novel a workaholic bio-medical scientist, Beth Armstrong, is torn between saving her sabotaged ground-breaking, multiple sclerosis research or honoring an obligation to care for her chain-smoking, Cuba-Libre drinking, ex-flapper aunt. The Flapper, the Scientist, and the Saboteur crosses the traditional genre lines because the story intertwines corporate espionage with a generational battle-of-wills family saga. Even though I received kind and even complimentary rejections, I discovered most agents and larger publishing houses weren’t willing to put time or money into something this different. Tell us about your main characters. Will those who know you recognize you in your main protagonist? Being a nursemaid ranks a notch above catching the plague on Beth’s scale. She’s an obsessive professional dedicated to keeping her science institute a world-class organization. Unlike Beth, her aunt would prefer anything deadly to losing her independence under the care of her compulsive niece. While a murderous culprit runs loose in the science institute, frustrating Beth at every turn, her raucous aunt entertains Beth’s neglected husband with nightly cocktails and stories from the Roaring Twenties. No one who’s read this story has ever mentioned that Beth reminds them of me. That’s a relief, because at first Beth might not be likeable to readers. I write a lot of short stories, and having my characters change from beginning to end is always on my must-do list. In this book, and also in my next book, I hope readers notice how at the end even my secondary characters have grown and changed from the beginning. Why did you choose Colorado for the setting? For over twenty-five years I volunteered at Lovelace Respiratory Research Institute at Sandia Laboratories in Albuquerque as their lay person for the Institute Animal Care and Use Committee. I read researchers’ protocols, participated in their monthly meetings, and helped the committee with their biannual inspection of all the animals. Since my story took some artistic license with what I know about research science institutes, and because my story highlighted the economic espionage act with some nasty characters, I needed to remove any suspicion concerning my imaginary story with my connection to the Sandia Laboratory institute. Denver became the logical place for several reasons. When I was in grade school, I spent many summer days running all over the city with my young cousins via city bus. As kids do, we believed we owned the place—from the Capitol building stairs to the Aladdin Theater on Colfax to the elevators in the Museum of Natural History. As an adult, I continued to spend time there visiting relatives. I know the city. The size of Denver allowed me to invent a science institute without identifying its exact location. I also needed a small, mountain town several hours away for my protagonist’s family home. I’d once lived in Cañon City, Colorado, so it became my Valley View—with artistic license again. When my mother died, her mysterious elder sister needed help. You guessed it. Her photo is the one on the cover of my book. She kept most of her antics as a flapper secret, but after an evening of rum and Cokes, she dropped names of people, places, and dates. Without her knowing, I took notes on anything handy—napkins, grocery receipts, envelopes, whatever I could put my hands on. When she died five years later I didn’t really know her story, but it needed to be told. Most of it is fiction, but still researching, editing, rewriting, getting rid of all the bad advice and keeping the good parts, plus finding a publisher took me well over ten years. Listening to my aunt’s voice in my head as I wrote made the writing easy. She seems to have won the favorite character award for this story, and I know why. When this aunt kicked up her heals as a teenager running away to Chicago, she gave up her college career. Probably because she didn’t get a high school diploma, she read all the time so she could prove she wasn’t stupid. She did seem to know everything about everything. I’ve discovered tremendous enjoyment in writing about strong women who follow their passions. Is there a scene in The Flapper, the Scientist, and the Saboteur you’d love to see play out in a movie? From the first conflict on page one to the final emotional last page, I wanted the reader to live every scene. Because of this, my writing style doesn’t use a lot of physical descriptions except when connecting bits of it to motives, emotions, and the characters’ deep internal conflicts. In my opinion, the whole book would make a tension-filled, eye-appealing movie—especially if Maggie Smith played the aunt (big smile here). Your second book in the series (The Flapper, the Imposter, and the Stalker) will be released in the fall of 2017. What are the challenges of writing a series? 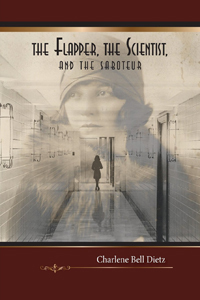 In The Flapper, the Imposter, and the Stalker the reader learns more about the ex-flapper aunt as a young woman. In 1923 this beautiful, bright teenage girl flees to Chicago looking for happiness, love, and an escape from being murdered. Since it’s a prequel to the first book, I had no problem creating it as a standalone. In the first book I give the reader hints about some of the aunt’s antics in the Roaring Twenties. Readers of the prequel may believe they’ve heard some of these tales before; however, now they’ll learn the full story behind all of her misbehaving. Before being awarded the 2016 New Mexico-Arizona Book Award in the First Book category, or being selected as a finalist in the International Book Award, I would have said the best compliment happened when a professional editor told me she couldn’t get my characters’ voices out of her head months after she’d finished working with my book. All the other compliments I’ve received naturally made me feel good inside—but kind of like your mom saying, “Good job, sweetie, I’m proud of you.” You know authors; we have fragile egos when it comes to our work. Having those award judges select my book from all those submitted totally validated my writing ability. You mentioned you took lots of notes when your aunt told some of her stories from her flapper days. What have you done with them, and where can readers buy your book? The notes are amusing to read. I never knew what might come out of her mouth: funny, inappropriate, or heartfelt. I’ve slid each of them into sleeve protectors in a three-ring binder. Along with photos, these are items I take to show-and-tell after a book club has read the book. When a book club reads The Flapper, the Scientist, and the Saboteur, I’m excited to come, answer questions, and show them the rest of the story. Book clubs can message me through Facebook or email me at chardietzpen@wildblue.net. Op Cit in Taos and Santa Fe, along with Collected Works, has copies of my book, as does Bookworks, Treasure House Books, and Barnes & Noble in Albuquerque. Naturally, it can be ordered online, too. Whenever I need a break, I write short stories. Rocky Mountain Fiction Writers published one last year in their anthology. I’m submitting two more for consideration in other anthologies. In a few days I’ll get back to the third book in the Flapper series. This one takes place in time right after The Flapper, the Scientist, and the Saboteur. Right now I’m about fifty percent through the first draft.